A friend of ours brought back fresh hamachi (yellowtail) from Hawaii and my wife, along with several other lucky people, received some nice cuts. She prepared some sashimi for us, and also cooked some of the fish in a wonderful miso soup. It was delicious! 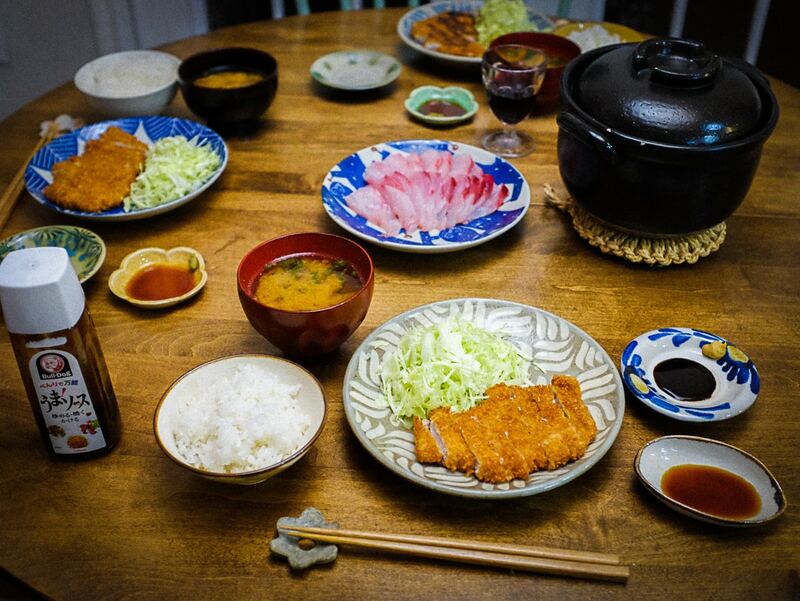 But that’s not all, because she also prepared tonkatsu (breaded and fried pork cutlet), served with cabbage and tonkatsu sauce. 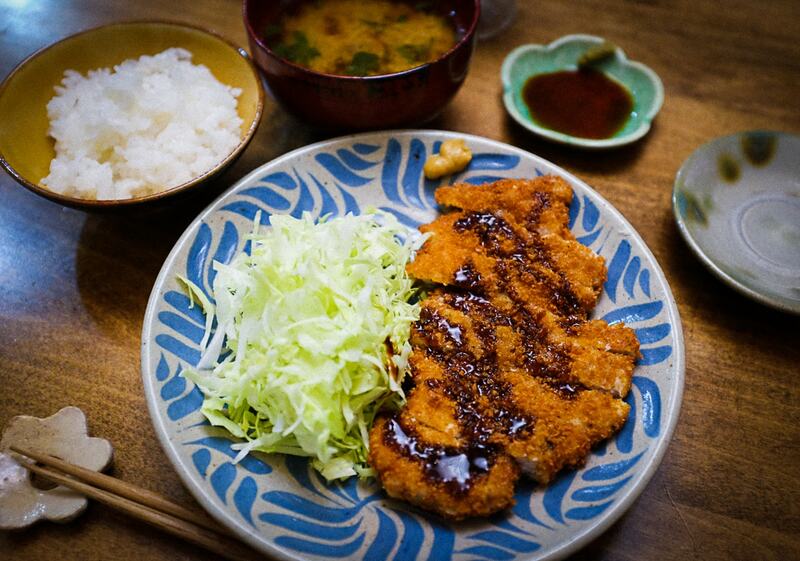 We also like to have it with karashi (hot mustard). It was pretty nice to have both karashi and wasabi (for the sashimi) out on the table. What a yummy meal!